I just got back from Lee Taft’s Speed Retreat last weekend. Part as a helper, part as an observer. Speed and agility could be so complicated if I hadn’t learned so much from him. This weekend got me thinking. Sometimes it’s nice to circle back to the things you used to do. We get away from these basics as we explore and experiment with new ideas, but don’t lose focus on the major things that work. Let’s not overcomplicate things. Here are five takeaways from Lee Taft’s Speed Retreat. Watch the video below for the details. 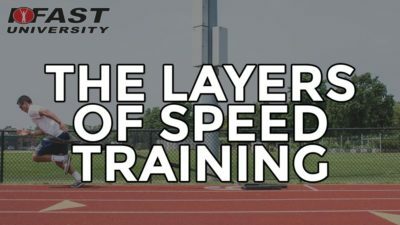 I’ll show you four different types you can use to teach sprinting mechanics, where people mess up, how to cue them, and a quick skipping progression we use with our athletes to teach sprinting mechanics. 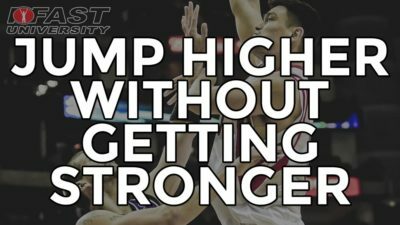 I’ll show you three different drills of three different difficulties, how you need to hold the band to get the adaptation, and why these drills work better over the long-term than spoken cues. 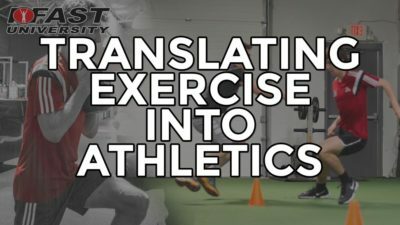 I’ll show you a quick progression of 4 med ball variations that create stiffness and optimal biomechanics, why upper trunk and shoulder rotation shouldn’t be here, and how to cue it. I’ll show you a kid with a floppy trunk as he re-accelerates out of a cut, I’ll show you a girl who does it a lot better, and then seven different correctives of varying difficulty that I have at-the-ready to fix this issue. 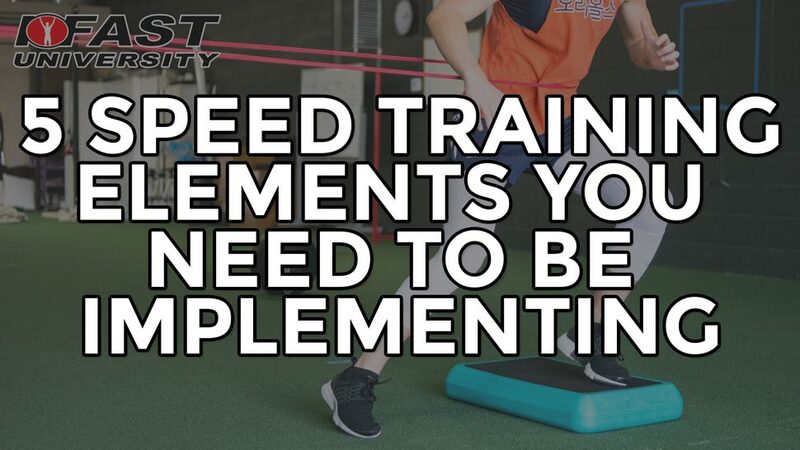 We’ll also talk about how your regressions might be doing your athletes a disservice. You can learn more about Lee Taft over on his website.